Automatically feed aquarium fish while you are away. 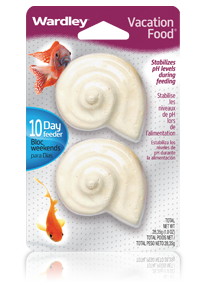 One shell will feed a 10 gallon tank of averaged sized fish for approximately 10 days. Vacation Food® stabilizes pH levels during feeding.